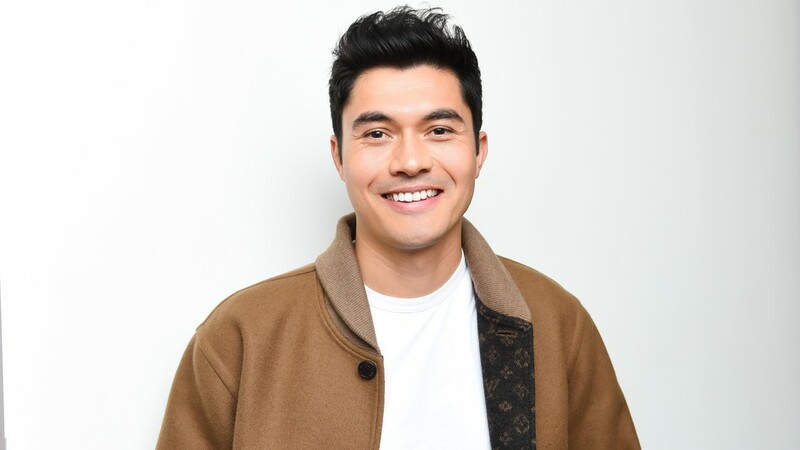 Washington D.C. (March 19, 2019) – Henry Golding will receive this year’s “CinemaCon® Male Star of Tomorrow Award,” Mitch Neuhauser, Managing Director of CinemaCon, announced today. CinemaCon, the official convention of NATO, will be held April 1-4, 2019 at Caesars Palace in Las Vegas. Golding will be presented with this special honor at the “CinemaCon Big Screen Achievement Awards” ceremony taking place on the evening of Thursday, April 4, at The Colosseum at Caesars Palace, hosted by the Coca-Cola Company, the official presenting sponsor of CinemaCon. Golding will next star in “Last Christmas,” to be released by Universal Pictures on November 15, 2019. A romantic comedy inspired by a George Michael beat and written by Academy Award Award® winner Emma Thompson (“Sense and Sensibility,” “Bridget Jones’s Baby”) and playwright Bryony Kimmings, “Last Christmas,” is directed by Paul Feig (“A Simple Favor,” “Spy,” “Bridesmaids”) and stars Golding along with Emilia Clarke (“Game of Thrones”) and Thompson. In “Bush,” from director Guy Ritchie, Golding stars opposite Oscar® winner Matthew McConaughey, Charlie Hunnam, Colin Farrell and Hugh Grant as a ruthless Vietnamese gangster named Dry Eyes who’s attempting to wrest control of London’s lucrative drug trade. “Bush” is scheduled for release next year. Golding also stars in the upcoming drama “Monsoon,” from director Hong Khaou (Lilting), as Kit, a British-Vietnamese man who returns to Saigon 30 years after his family fled during America’s war in Vietnam. Golding first appeared on the big screen when he was selected to star as Nick Young in the mega-hit “Crazy Rich Asians.” He quickly solidified his position as a leading man with his role of Sean in Paul Feig’s “A Simple Favor,” starring opposite Anna Kendrick and Blake Lively. This past year Golding became the first Asian actor to grace the GQ Man of the Year cover. He made Variety’s 10 Actor’s to Watch and was featured on the cover of Vanity Fair’s Hollywood issue. Kate (Emilia Clarke) harumphs around London, a bundle of bad decisions accompanied by the jangle of bells on her shoes, another irritating consequence from her job as an elf in a year-round Christmas shop. Tom (Henry Golding) seems too good to be true when he walks into her life and starts to see through so many of Kate’s barriers. As London transforms into the most wonderful time of the year, nothing should work for these two. But sometimes, you gotta let the snow fall where it may, you gotta listen to your heart … and you gotta have faith. Last Christmas features the music of George Michael, including the bittersweet holiday classic of the film’s title. The film will also premiere brand new unreleased material by the legendary Grammy-winning artist, who sold more than 115 million albums and recorded 10 No. 1 singles over the course of his iconic career. Last Christmas is directed by Paul Feig and is produced by Feig and Jessie Henderson for his Feigco Entertainment, and by BAFTA winner David Livingstone for Calamity Films, and by Oscar® winner Emma Thompson, who wrote the screenplay with playwright Bryony Kimmings. Tags: CinemaCon, Henry Golding, “CinemaCon® Male Star of Tomorrow Award”, "Last Christmas"